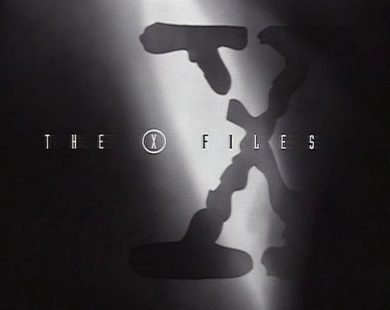 I have X-Files on the brain today.There’s a good reason for it. This is “Spirit Week” at Craig’s school. This means everyone is supposed to dress according to a specified code each day and by dress code, I’m not talking plaid skirts. The first day’s assignment was to dress like a recognizable fictional character. In keeping with what we normally do with stuff like this, we started trying to figure it out at 9:15pm last night. We went through some standard ideas like Yoda (no green make-up), Jack Sparrow (no pirate boots), and Willy Wonka (no top hat or snazzy purple coat). I then got a great idea: Fox Mulder from the X-Files. All we needed was an FBI Badge. Oh, and Craig needed to shave his beard. Check and Check. 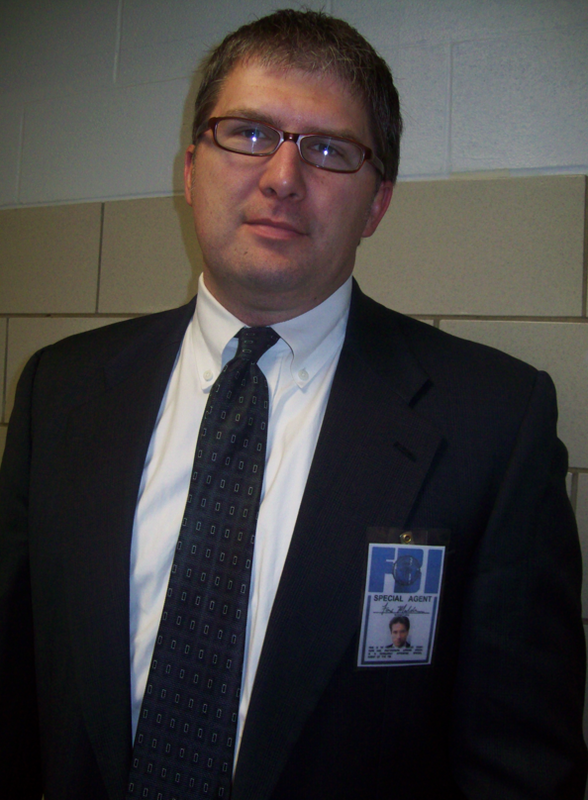 He makes a pretty decent Fox Mulder if I do say so myself. And even if none of his students got it. We know the truth is out there. Even if we have no idea what David Duchovny is doing with that truth anymore. Man, I miss the The X-Files . I didn’t really care that much for the really scary episodes, but the government conspiracy stuff? Love. The Cigarette Smoking Man? One of the best bad guys ever. The Lone Gunmen? Best nerds on the planet. I really do like conspiracy theory stuff. I enjoyed the movie Conspiracy Theory with Mel Gibson and Craig used to be on a big Art Bell kick. There are some real wackos out there, no? Anyway, today I saw Hyndai’s new Super Bowl ad campaign on the Compact Conspiracy. I like the “do-it-yourself” feel of the video for the ads as it makes them feel like someone really did see this happen. Pretty funny. Makes me almost look forward to watching the action this Sunday night. What’s your thought? Conspiracy Theories: Love ’em? Leave ’em? Have you heard of any other Super Bowl ad sneak peeks you like? Do tell. I’d love to watch them early! I’m not a conspiracy theory lover, and for some reason I could never get into the X-files. As far as brain washing me into getting a foreign compact car, it isn’t going to happen.